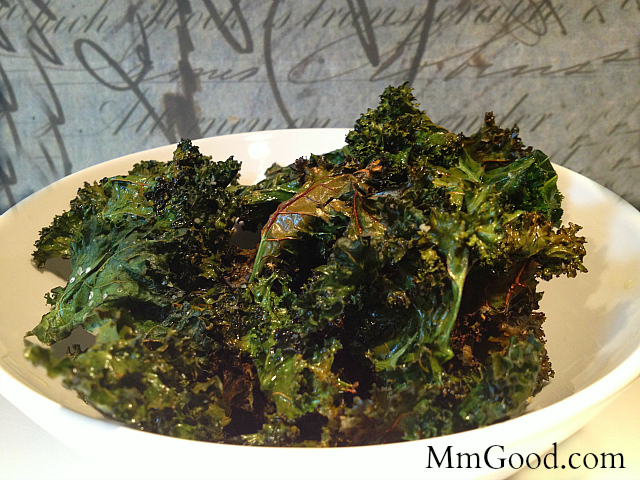 I was first introduced to kale chips about 5 years ago when I was celebrating an anniversary at our local Four Seasons Hotel, they were offering a cooking class and in the class we made baked kale chips I remembered really enjoying them and thinking I’d be making baked kale chips all the time….then I forgot about them lol. Recently my girlfriend Susan came over and brought some kale chips as an appetizer and immediately it brought me back to that class, so of course I decided to make them for myself. 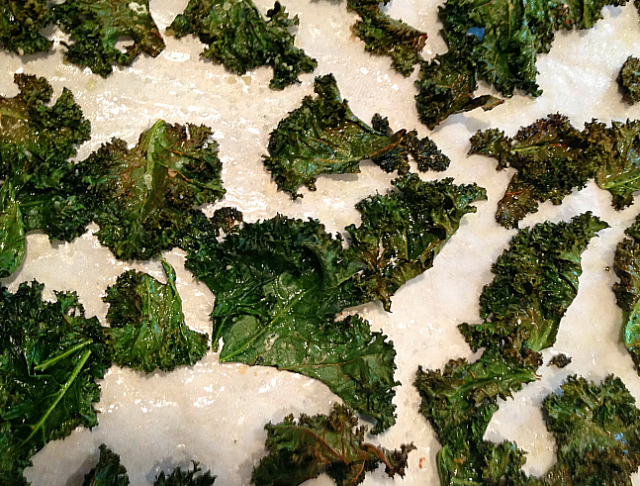 Even my son Jacob loved these kale chips and he’s my picky eater…so if Jacob will eat them…anyone will eat them! In purchasing kale I find that the bagged stuff is not as fresh as I would like it and for this recipe it won’t work as it’s pretty much chopped up already. The kale in the vegetable section is the best one, the greener the better…the leaves will feel “waxy” and go for the biggest bunch. 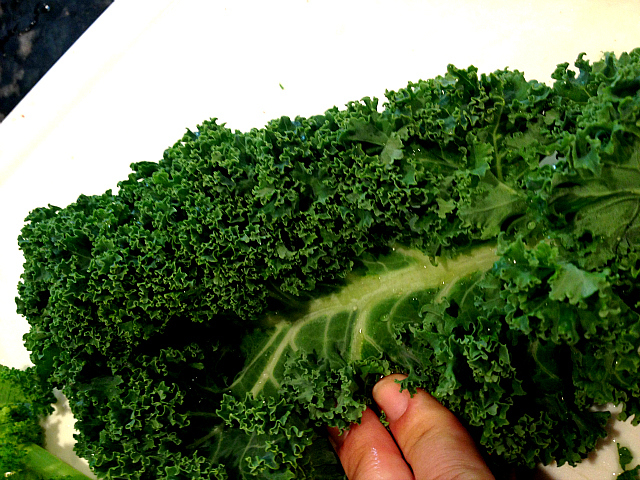 Basically you take your kale, see how big the leaves are and how green? coat them with your favorite seasonings, here I tried some with parmesian cheese (YUM) and I did some with just salt and pepper, be creative!!! It’s really that simple…and so rewarding. 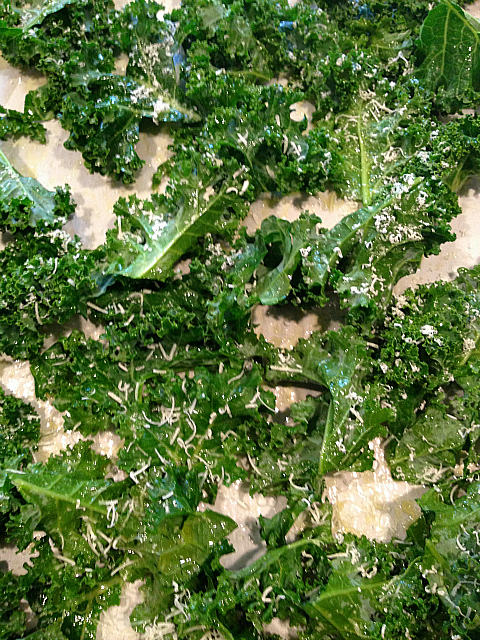 I did made some kale chips plain and some kale chips with Parmesan cheese. If you are using Parmesan cheese for your kale, just remember that Parmesan cheese is a bit salty so pay attention to that. 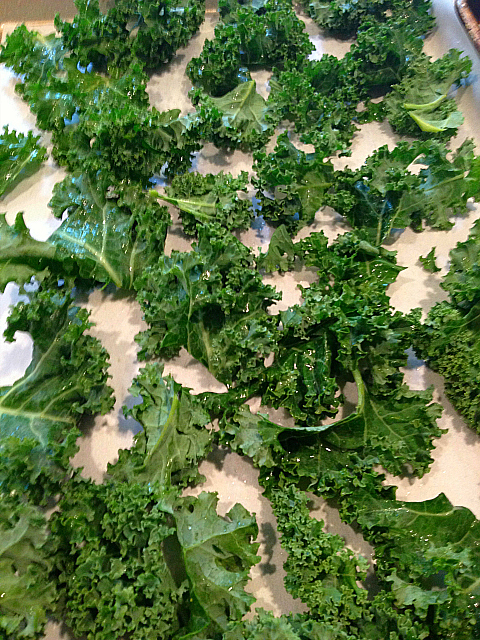 Please send me an email or leave a comment on your favorite baked kale recipe…I love it!!! I’m working hard at having videos with my recipes so pop on over to my youTube channel and subscribe and like so I’m encouraged to continue with the videos. And thank you to all those who already have subscribed and like my videos I really appreciate it!!! Thank you for visiting my site and I hope you enjoy this recipe. I do love comments so please feel free to leave me your comment or suggestion. If you would like to be kept up to date with all my new recipes, I only post twice a week, please subscribe in the box listed on the top of the page “Subscribe Via Email”. You will be emailed with a link to confirm you are interested in the subscription so be sure to click on that link too. Thank you again! Here is a video tutorial of me showing you how easy this recipe really is to make. Please visit my YouTube channel and subscribe and like my videos, it encourages me to continue making them and thank you again for all the support I receive and the emails. Preheat oven to 350 degrees, wash your kale and pat dry. 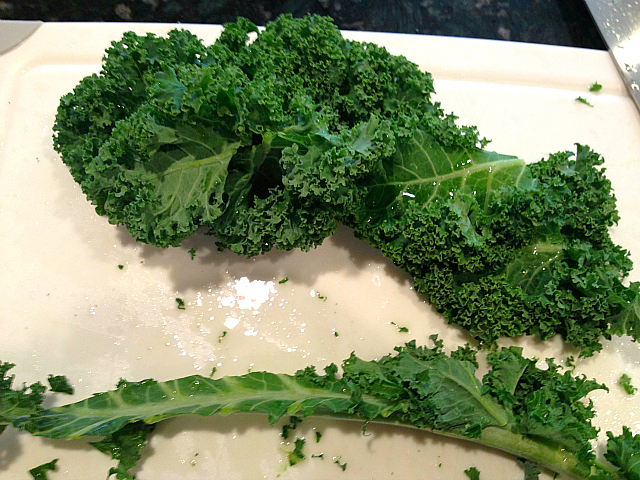 Remove the stems from the kale and cut kale into 3-4 inch pieces. Season with salt and pepper (or be creative). Bake for 10-12 minutes or until lightly brown on edges.